As we inch closer towards the official launch of the Tesla Model 3, everyone is itching to see it in its final form. 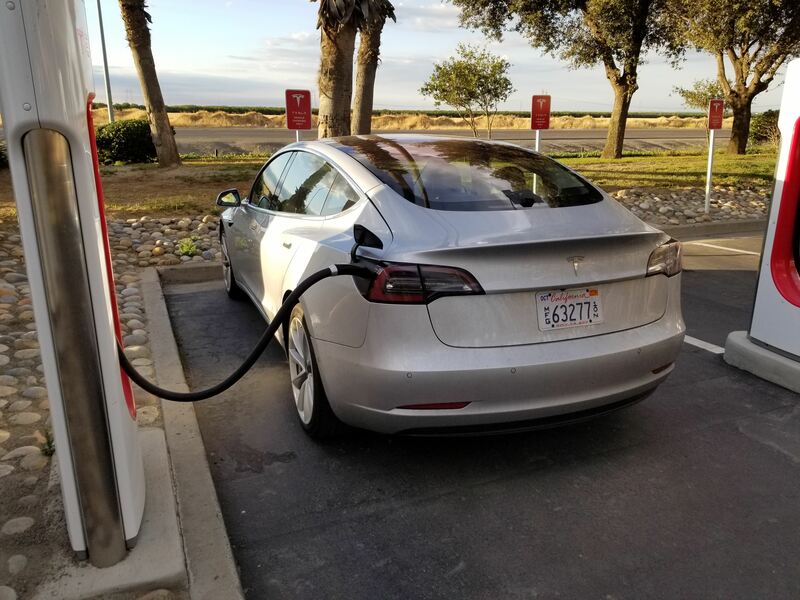 We're not quite there yet, but a new batch of pictures from Redditor WattLOL showing an undisguised pre-production Tesla Model 3 at a Supercharger near Coalinga, California gives us the most detailed look yet at the planned mass-market electric car. Although it’s fully-functional vehicle free of camouflage, it’s still clearly a pre-production model. Some of the giveaways include tape hiding some wires on the front driver’s side quarter and large panel gaps in several places on the body that should be tightened up by the time it debuts. 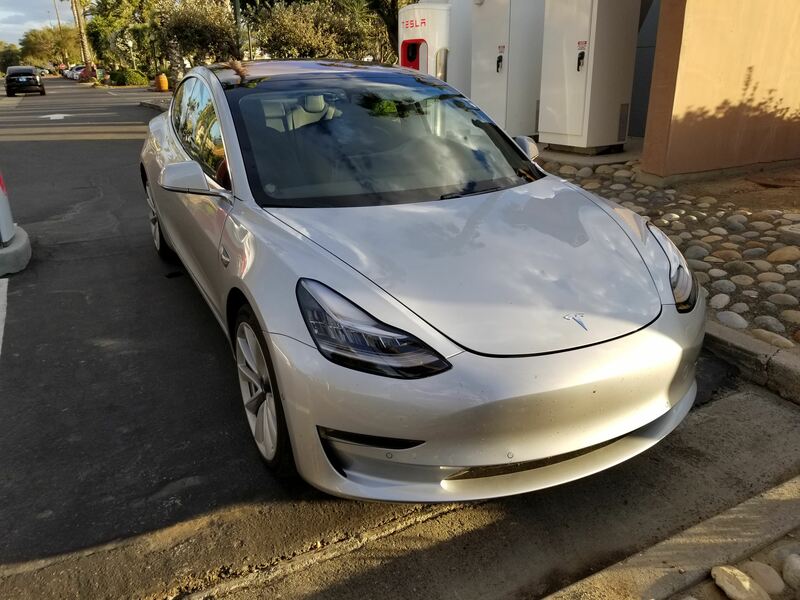 There aren’t a lot of surprises, as it looks a lot like the white Model 3 spotted on a California highway last month and the black “release candidate version” Elon Musk showed us in March. However, it’s still cool to see this gallery of high-quality pictures of the car in the flesh. One thing these shots don't confirm is the head-up display - the only part of the car that’s covered up is the dash area and the steering wheel. The final, real-life version of the Tesla Model 3 is coming in July according to Elon Musk. Also, production is still on schedule to begin next month with deliveries starting sometime in the second half of 2017. If you still want to get your hands on the small, affordable electric car, you can order one now and expect to get yours in late 2018. Tesla is hoping to produce 500,000 of these per year, so the Model 3 is about to go from rare to ubiquitous if Tesla can reach their lofty goals. Thanks to WattLOL for allowing us to use these pictures. 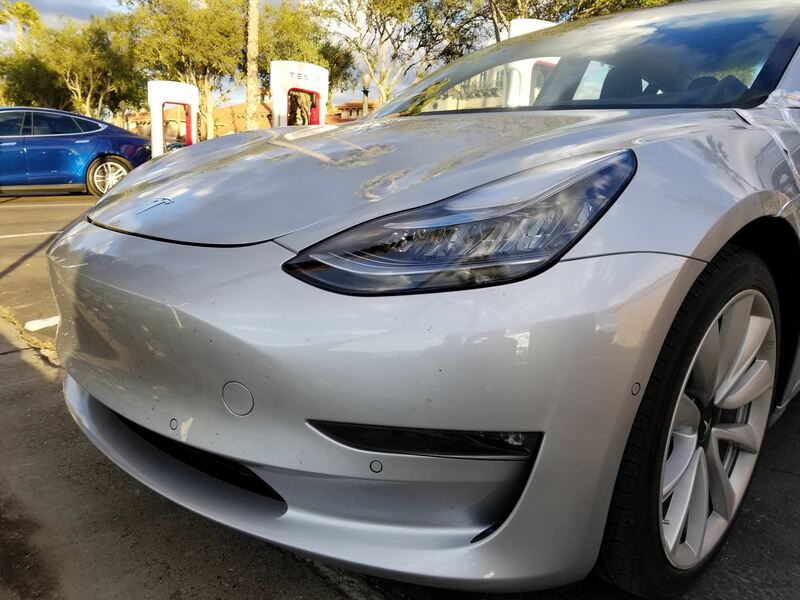 This clip shows a release candidate Model 3 in beautiful high-resolution footage.